With straightforward, in-depthcoverage of the use of physical agents to improve patient outcomes, Physical Agents in Rehabilitation: An Evidence-Based Approach to Practice, 5th Edition reflects how physical agents and modalities are being discussed in the classroom. 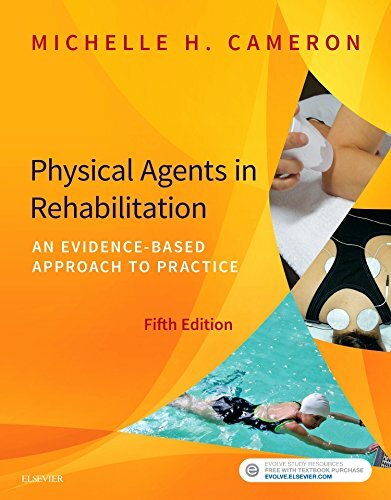 This new edition brings the ideal balance of evidence and practical instruction to the learning and practice of physical agents in rehabilitation.Comprehensive coverage of all physical agents includes the mechanisms, clinical effects, and application techniques for thermal agents, ultrasound, electrical currents, electromagnetic radiation, hydrotherapy, traction, and compression.Plus, each chapter includes a scientific rationale and step-by-step instructions in the use of the agent(s), as well as up-to-date research support and new Find the Evidence tables. The new edition is supported with electronic ancillaries including review questions for students, PowerPoints®, and links to all references on Medline. Electrical Stimulation, Ultrasound & Laser Light Handbookhelps you to understand the material and can be printed out for quick reference to use in the clinical setting.